When the snow hit South Shields yesterday, my heart sank. I drive a BMW and if truth be told, its not the best in the icy snowy weather. Something about it being a rear wheel drive makes it like Bambi on the ice and makes me turn into a total worrier. I love the snow and frost when I can gaze at it through the window but hate having to drive in it or even go out walking in it; anything other than glorious sunshine is not conducive to a productive working day for me! This time, my partner and I intend to share his Seat Ibiza which has been working out well for us over the last couple of days, although I hope that this snow doesn’t stick around for too much longer as it’s going to be really difficult for me to rearrange all of my work meetings to suit his shifts at work as our work locations are in two completely different areas which makes sharing a car more difficult! Thankfully, we’re both insured to drive his car which gives us peace of mind when driving it and it has just sailed through its MOT, although it did have an advisory on its tyres, recommending that they should be changed within the next 3 months. This is something that we’re planning to sort out immediately, especially now that the snow has hit as even though there’s still plenty of tread left on the tyres, we’d rather get it sorted sooner as it’s better to be safe than sorry. This will be easy to arrange since we can buy tyres online at Kwik Fit and book the fitting which will give us peace of mind that the right tyres have been fitted correctly. My partner got his last full set of tyres from Kwik Fit for his last car (just going direct into the garage rather than online) and he said that the service was great and they lasted him for years, never letting him down in icy conditions, so they’re the natural choice for his first full set of new tyres on his present vehicle. What I love about Kwik Fit is that their website is really easy to use, even for those who aren’t particularly knowledgable when it comes to cars. 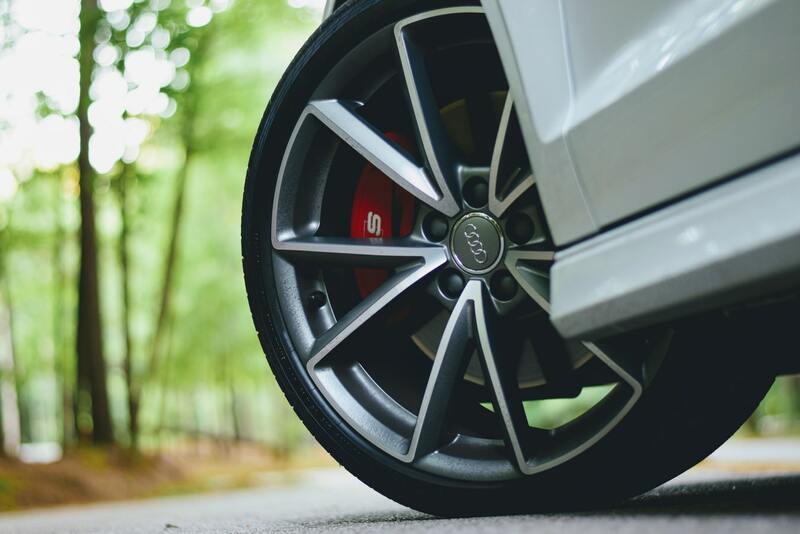 You can search for the right tyres for your car by the measurement specifications if you know them or simply enter your registration which is even easier as their system does all the hard work for you. You can also go into one of the Kwik Fit centres first of all and get them to order and fit your tyres for you but I think that using their online service gives you better savings and from there you can book in or arrange one of their mobile fitters. It couldn’t be easier and making sure that your tyres are legal, fitted correctly and of good quality could save your life at anytime throughout the year but especially when the roads are as bad as they have been lately as everything from the visibility to the stopping distance can be impacted by the cold weather. One of the things that I love about living in the UK is that we get to experience all of the seasons and the beautiful things about them… and the not so great things. The varying weather can make driving pretty treacherous and the roads can be especially bad during the winter season as we can face ice, fog, rain, snow, hail, strong winds and low lying bright sunlight, sometimes all in the same day! These uncontrollable forces of nature can make visibility poor and handling and breaking very difficult. When a lot of people think about snow, ice or rain on the roads, they think about skidding or getting stranded but what doesn’t always spring to mind is the stopping distance. Even if you don’t hit into a skid, the amount of time and distance that it takes for you to be able to come to a complete stop increases when the outside temperature drops and driving conditions change. This makes total sense for sure but it isn’t something that I immediately worry about and I don’t think that I’m alone in that. I found this video on winter driving to be really eye opening. Did you know that it takes twice as long to stop in wet weather? I get so caught up in worrying that I’ll skid or not be able to manoeuvre my car when it is snowing that I don’t think about my stopping distance when it isn’t snowing as I’m just so pleased that it’s not snowing and icy! I know that I instinctively give myself more time to stop and keep my distance from the car in front more when it is raining but its something that I think many of us do on autopilot. Watching the video I’ve linked to above really reinforced how important this is and brought it more to the forefront of my mind for me so that now when I’m driving, I’m consciously thinking about my stopping distance in relation to the weather conditions rather than just doing it automatically. Driving mindfully is so important. Did you know that it takes up to 10x as long to stop in icy weather? Perhaps the most shocking statistic but the one that I’m the least surprised of. I’m always so wary of other drivers on the roads especially when the weather is icy and snowing. I am someone who drives incredibly slowly and carefully during the ice and snow, if I have the opportunity to drive my partners car or when I have had previous vehicles in the past, however I am always so frightened of other drivers as some can be really careless and race around without thinking that just because the snow isn’t lying on the ground, that doesn’t mean that there isn’t black ice on roads. While my partner and I are so contentious of maintaining our vehicles, not all drivers are and there could be someone out there, speeding about the roads when its icy with tyres with the tread worn right down, giving them very little grip on the roads. It doesn’t bear thinking about does it? I suppose all you can do is make sure that you protect yourself and your own cars as best you can and hope that others do the same. Tyre safety is so incredibly important, especially during the winter months. I hope that this post has given you a little bit of food for thought around the safety of the tyres on your own car and the stopping distance that you leave when driving so that we can all stay as safe as can be on the roads this winter. Are your tyres winter ready? Are you clued up on the #StoppingDistance? Join in the conversation on social media! *written in collaboration with Kwik Fit, all words and opinions are my own.